Many of us parents have a severe physical reaction to the words "assembly required". Earlier this year two dudes stole my children's basketball goal from our backyard in the middle of the day. They even took time to place a flag on the back of the goal before they drove away--beautiful isn't it?--safety conscious criminals, just what our world needs! Stop laughing. It's only funny when it happens to someone else. Good news is that my kids grandparents bought them a new goal for Christmas. Bad news is, "Assembly is required" with the new goal. I hope they can shoot on an 11 foot rim:-) Some things come out of the box completely ready to go: Plug and play; aim and shoot; detag and wear. I love that stuff. In fact I'll buy a piece of furniture that I kind of like over the one I really like if the one that I kind of like is a display model already put together. Unfortunately this same mentality can plague my spiritual life (maybe yours too?). 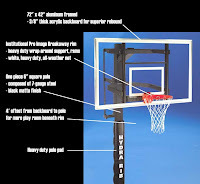 I want a plug and play relationship with my heavenly Father, but like the basketball goal there is some assembly required. Paul said it this way to the Christians in Philippi: "...continue to work out your salvation with fear and trembling [Philippians 2:12]." Placing our trust in Jesus is the first step into a relationship with our heavenly Father not the final one. Maybe one of the "resolutions" that needs to make your list this year, is to continue the sometimes hard work of assembling (working out your salvation according to Paul)--your relationship with your heavenly Father through Jesus. It's worthy of the effort. January 4th, 2008, Ridge will kick-off the new year "under the tent" at the Levine Center! Put on your scarves and bring your friends as we worship together in a special time. Don't worry, the tent will be heated and coffee will abound. Our UpStreet and Waumba children's environments will take place as normal, in their usual locations. Let's celebrate the new year together as we anticipate what God is doing in our lives and community. See you there! 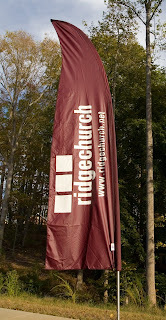 Ridge Church is a new church in Southeast Charlotte and a strategic partner with North Point Community Church in Alpharetta, GA.
January 4th, 2008, Ridge will kick-off the new year "under the tent" at the Levine Center! Put on your scarves and bring your friends as we worship together in a special time. Don't worry, the tent will be heated and coffee will abound. 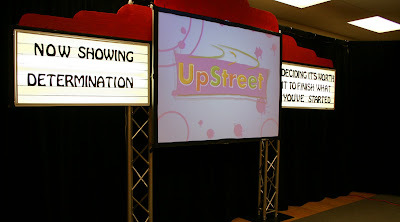 Our UpStreet and Waumba children's environments will take place as normal, in their usual locations. Let's celebrate the new year together as we anticipate what God is doing in our lives and city. Invite people like crazy. It's going to be awesome. See you there! 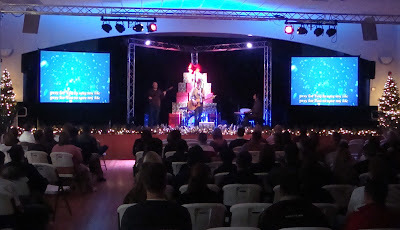 December 21st (part three of Tinsel or Tension here) was a really great day at Ridge Church. We started with breakfast in honor of all the amazing and super committed volunteers from Ridge. It is really fun to watch and interact with these great people that have owned this church in such a significant way. These volunteers comprise the backbone of Ridge Church! Interestingly most of them didn't even know each other when this church began, yet now the relationships that have merged in many cases are like family. Communion at Ridge...hard to describe. Very powerful. Very worshipful. Very appropriate. Worship at Ridge...WOW! Andy Cherry lead and did an amazing job. Introduced one of his new songs called "Holy", which we'll definitely do again soon. I'm really excited about this Sunday! It is going to be an incredible day at Ridge Church. The day will officially begin with a thank you breakfast during "CORE worship" (9:30am) in honor of all of our amazing volunteers (click here to view evite). At the time of this post I think 75 of you have confirmed (children are welcome)--It's going to be a great time to hang out for a few minutes and enjoy each other over breakfast before we dive into the amazing service planned for the day. Side note: If you attend Ridge and haven't jumped into an area of strategic service. --or maybe I should say you haven't jumped in YET as a volunteer, you simply don't know what you are missing. These are the people that make Ridge Church what it is. You can start the process online. I won't show all the cards for the day, but just know it will be an amazing Christmas service. Part three of our Christmas series, Tinsel or Tension, and we will be celebrating communion together in a really awesome way. We are making the official announcement about something HUGE for January 4th as well! That's all I can say for now though...so come Sunday to hear the details. 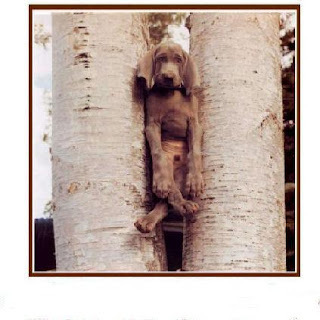 If you are in a relational situation or work situation where it feels like the deck is stacked against you, then you have probably asked out loud or at least in your head, "Why is this happening to me?" I don't know the specifics of your situation but I do know that sometimes in life God wil l allow the deck to be stacked against us so that we will come to a point of not relying on ourselves and our own strength and wisdom to pull us through every situation in our life. The first century Christians suffered much and were severely persecuted because of there relationship to Jesus and their persistence in spreading the news about Him to "everyone". I'm guessing they probably had a least a few if not many moments when they looked toward heaven and asked, "Why is this happening to me?" Listen to what Paul says about their suffering in 2 Corinthians 1:9-10, "...this happened that we might not rely on ourselves but on God, who raises the dead... he has delivered us...and will deliver us. On him we have set our hope, that he will continue to deliver us." Since relying on God is the only way for us to ultimately live fully satisfied and complete lives of purpose---God is not beyond occasionally allowing the relational, physical, financial, emotional--deck to be stacked against us so we will remember to rely on Him, not ourselves. The great news is--He is all powerful (can raise the dead), he is driven by love, and he has a long track record of delivering his followers from sticky situations. In your situation today--choose to rely on him! **Who are you learning from? Who is challenging you? Are you using your drive time wisely? I have a huge passion to see our church, my generation, and the generation on the way, truly embrace generosity. So I get really excited when I see my children or our church take a step in that direction. I get even more excited when I see our church help my children take a step in that direction! 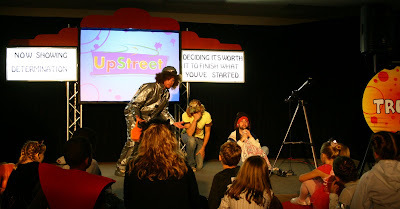 Upstreet (k-5th grade) under Patrick Mitchell's leadership, is doing something pretty cool called Project Generosity. Each month in Upstreet we reinforce a virtue for the entire month and this month the virtue is "Generosity". So, our Upstreet team (small group leaders and children) are adopting a child through Compassion International. Essentially our children are going to provide education, basic health care needs, clean water, and the opportunity for six year old, Eric Base Kiria, from Kenya to not only hear about, but practically experience how much Jesus loves him. With help from the small group leaders in Upstreet the children came up with ideas on how to raise money for Eric. Some them have asked parents to remove a gift from their list so they could give the m oney that would have been spent on that gift to project generosity. Others are drinking water instead of soft drinks at meals and putting the money toward project generosity. 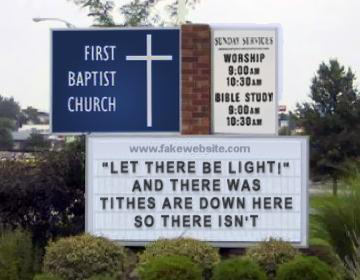 Send a check: Ridge Church_P.O. Box 1853_Indian Trail_N.C._28079 *Put Project Generosity in the memo line of checks. 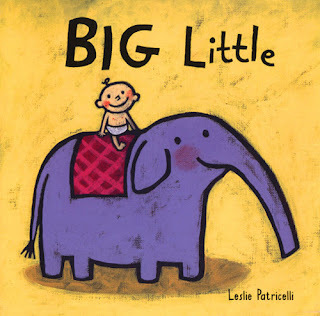 Big is Little: There are certain times and situations for all of us that we go big or not at all. Especially in terms of benevolence or meeting the needs of other people. Think about it: Haven't there been times when you were presented with a need or you were made aware of a need, BUT since you couldn't meet it completely you did nothing? Maybe you heard about the tragic death of a young dad who was survived by a wife and three small children. Your heart was broken and you felt compelled to do something. But as you pulled out your $50 it seemed small in the scheme of things so you put it back in your pocket. Maybe you are bothered by the fact that countless #'s of children die everyday due to lack of clean drinking water...but again, you think my $50?...and do nothing. Maybe you felt compelled to help with a community event, or at a homeless shelter but because you couldn't give an hour a week or four hours a month you gave nothing? 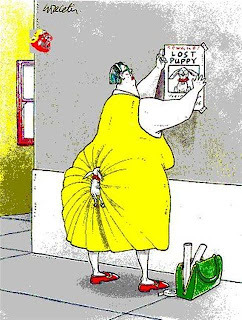 I think we need to seriously change the way we define, "big"! Here is my two week challenge to you: For the next two weeks I want you to think of "big" not in terms of volume but in terms of capacity. The biggest thing you can do for someone is likely something they can't do for themselves. It may be tied to $, but it may be tied to your skills, your time, or your knowledge. The next "big" thing you do or give may be something that feels super small to you but represents something that a person couldn't have done for them self. When it comes to serving people "Big is Little!" Find that little thing that someone can't do for them self and do it for them. Bless people. Don't get stuck in the big or not at all trap when it comes to serving people. "Letters to the Next President"
I want to see through, or rise above the dark clouds that sometimes surround and descend human exis tence. Plain and simple, I believe God has called me to lead something amazing and I refuse to settle for anything less than that. Maybe this is semantics but I do think that half if not 98% of that leading is somehow wrapped up in me figuring out how to simply get out of God's way. Right now, today, I'm praying as I have many times in the past, for God to arouse vision in me in a unique way. I want to see farther. I want to dream huge dreams that are impossible apart from God. I want God to increase my expectations of what can and should be done with my life! If we become what we see, then I want to see as God sees. Anything less than that would fail to give to God the worship that he deserves from my life. "Those people that seem to live bigger lives, who discov er the hero inside of them, and live their most heroic life...they have a higher sense of expectation. An almost insane conviction that their future is going to be better than their past. This irresistible optimism and hope keeps them moving forward." "The Christmas holiday, a time when we focus on Christ, family gatherings, and shopping (not always in that order though:-) It can often be a time of tension and stress instead of peace and good will toward men. 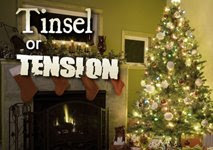 In this three-part series Chris Brown and Andy Stanley address the challenges of the season... tinsel or tension?" Some times I find myself slightly irritated by the various "so called" awards shows that come on TV. It fe els like we often reward all the wrong things and make a complete mockery of morality, modesty, purity, respect...(the list could go on). So, I was pleasantly surprised to stumble upon this CNN special called "CNN Heroes" where they highlighted what they called the top ten Heroes. Each of these individuals modeled self sacrifice in the pursuit of improving the lives of fellow humans in need. I don't know enough about any of these to endorse them but I can safely say that I am impressed and motivated by them! 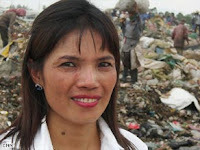 Walking down a street in Cambodia's capital city, Phymean Noun finished her lunch and tossed her chicken bones into the trash. Seconds later, she watched in horror as several children fought to reclaim her discarded food. Noun stopped to talk with them. After hearing their stories of hardship, she knew she couldn't ignore their plight. "I must do something to help these children get an education," she recalls thinking. "Even though they don't have money and live on the sidewalk, they deserve to go to school. At one point the camera panned across the school and I was struck by a phrase written on the wall that simply said "Every problem has a solution." It's been stuck in my mind ever since then. Phymean Noun saw a problem and she became the solution. I love that. Simply stated, Ridge Church began in response to a perceived problem. My generation, in my city, have largely checked out on church [problem!] and we are passionate and desperate to see them come back to their heavenly Father. We at Ridge are bothered by that reality and want to see the tide turn! The secondary problem, largely related to the first problem, is one that I am also personally bothered by. I think about it often and pray that God will allow me and Ridge Church to be a voice and inspiration of change in regards to this issue. I am bothered by the self indulgence of "MY" generation and I say "MY" because it is time for us to own up this problem and like Phymean become the solution. We are a generation with means, with capacity. Even in our worst economic days we are still blessed beyond imagination. I pray that "self indulgence" will not be the legacy of my generation. Rather, I want to be part of the generation that ushers the presence of God back in. A generation defined by generosity and sacrifice for the sake of others in need. May that be our legacy! Start somewhere. Do what you can, where you are, with what you have. Do for others what they can't do for themselves. Let's re-define our generation! My wife is way more creative and resourceful than me. She is always coming up with fun stuff to do with the kids that they love. Well, tonight she was out for a work function so it was just me and the kiddos. Fortunately we usually have a great time in spite of my lack of creativity. This is a sneak peak at the night. Again, it was far less creative than the stuff my wife comes up with but they laughed a lot and had a good time. I think they enjoyed editing the video more than anything else that we did. Don't forget. We have an awesome series going on at Ridge Church right now. Too good to miss. I feel more generous already. How about you? Were you motivated? Maybe this question is for you and maybe it's for someone you know, but think about what your or their response would be to this question: What is my hesitation with God or church? If you aren't a Christian or don't really attend church OR someone that you know isn't a Christian or don't really attend church, there is a reason why and it's probably a good reason. The interesting thing is for most people that ultimately become followers of Jesus, all their reasons for not being a follower of Jesus don't usually go away or get resolved or answered. They simply get smaller when it becomes personal. 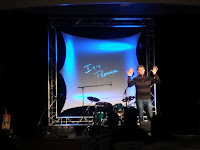 To hear more click HERE for part 2 of "It's Personal." This is an amazing interview with a man who moved from Atheist to follower of Jesus, but it wasn't because all his questions were answered. Pretty powerful stuff! What are you doing to grow personally as a leader? Who are you currently developing as a leader? Do your insecurities cause you to invite followers more than develop leaders? When some one talks down to your child, "It's Personal." When some one critiques your performance at work, "It's Personal." When some one makes fun of your new haircut, be it a faux hawk, dreads, spiked, flat iron, or a sweet mullet...you had better believe, IT'S PERSONAL! But somehow, for some reason most people never allow "God and Personal" to make it into the same sentence. For most people, God is a dysfunctional dad with a weird authority trip or he's the guy you call in a crisis. And, church is a twice a year event or place for the fanatics and Jesus freaks--where people sing weird songs, and pass around the "God Tip bucket" (we call it an offering bucket:-) Well, if it ever becomes PERSONAL for you or those that you know, it will reshape and define your entire existence!! I know because it's my story. If it ever becomes personal, you will step into a life you didn't know was possible--guaranteed. I double dare you to test me on this one. Don't miss this series at Ridge called "It's Personal". If you have to bribe people with lunch afterward, do whatever you have to do to get them there! Catch up on part one here. Fear can strike a mind, a home, a corporation, or even a nation with little warning and massive consequences. We find ourselves lying awake at night wondering: What will happen with my retirement? Is our country safe for our children? Will I lose my home? Will I lose my job? What will I do when I graduate? What will the Doctor's report say? Unfortunately our first response to fear is often the worst possible response. Fear can be paralyzing but there is a way to be free from it. That's exactly what we will be addressing during this two part series called FEAR. See you at Ridge Church. I've had a pretty crazy week, but have been so encouraged by the passion and reckless abandon for Jesus that I see in this 20 something generation. 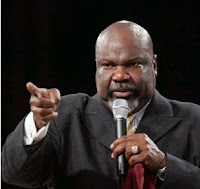 They will raise up the kind of church that my generation and my parents generation failed to do. I am so excited to be empowering them. I'm convinced God will use Ridge to touch the lives of people near and far in eternally significant ways. But between here and there we must act like THEN IS NOW! Sometimes a snapshot of the future gives us an appropriate sense of urgency here in the present. So as you invite, as you give, as you invest your time--do it with the end goal--the destination--in mind...Live as if THEN IS NOW! 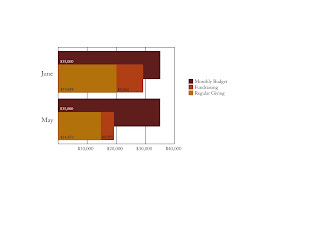 To the right is a graph showing our financial progress. You can click on it to enlarge it. You are doing a great job and we are making significant progress. On average, churches across the country were down in giving close to 12% last month and we managed to make progress. I want to thank those of you that have stepped up in significant ways for us, but keep it up because we aren't there yet. I think we will need roughly 5-7 more months of visionary giving to help us Bridge the Gap to being completely self sustaining financially as a church. This current series at Ridge Church, "Letters to the Next President" is both timely and powerful. The second talk in the series is about moral authority. It is a powerful principle for all people with authority--from parent to President. Listen to Part 2 here. I've fou nd in my journey as a follower of Jesus that when God is trying to teach me something or bring my focus to a subject, I often find that subject popping up consistently and finding it's outlet through many different voices and avenues. In recent days the theme for me seems to be poverty, wealth, and our cultures' (me, more than I like to admit) general obsession with stuff. 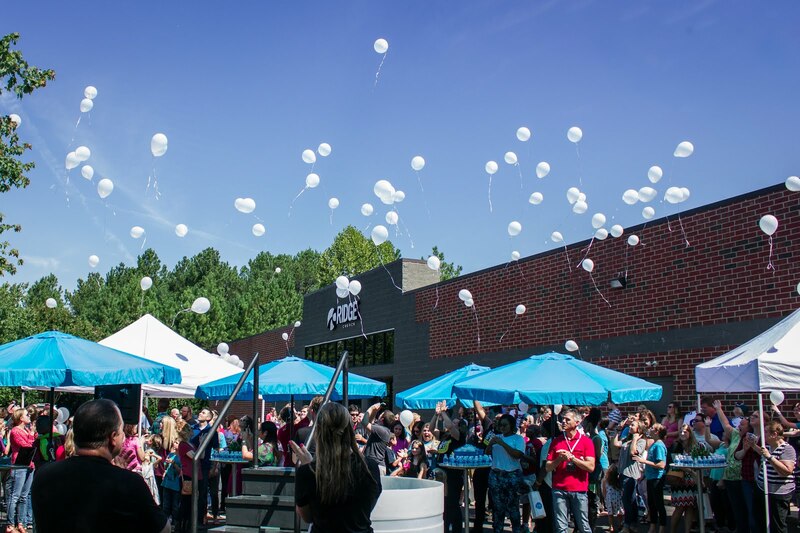 I pray often that Ridge Church will be a generous church. It sounds good to celebrate and talk about but it only works if you actually have generous people. To have generous people you have to be lead by generous leaders. Generosity doesn't permeate any organizational culture accidentally, and I w ould venture to say it doesn't permeate any organizational culture quickly. David Platt, the pastor of Brookhills church, made this statement: "God measures the integrity of our faith by our concern for the poor" Is he right? Is that true? Honestly, I don't know for sure, but I have been thinking about it ever since I heard him say it. 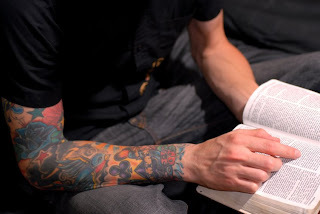 Dallas Willard, in the classic "The Spirit of the Disciplines" responds to the false idea embraced by followers of Jesus probably in every generation, that cling to the idea th at being poor is closely connected with being spiritual. 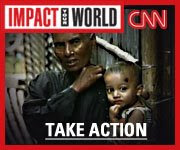 I love what he says "Being poor is one of the poorest ways to help the poor...if giving is good, having is also good." My conclusion so far: Put it all together and I think followers of Jesus should make piles of money, and be incredibly generous to those in need. But don't be deceived. If you aren't generous when your pile of money is just a meager scraping by, or a pile of pennies, then you will not be generous when/if you ever have an abundance or over abundance. It doesn't really work that way. Jesus said it this way, "Whoever can be trusted with very little can also be trusted with much, and whoever is dishonest with little will also be dishonest with much." ---A church's generosity to it's "neighbors" will never exceed the generosity of it's individuals. The real question isn't what will we do when we win the lottery (I don't play--so don't post a comment scolding me:-), or when we get the raise, or close the deal, or when the economy stabilizes? The real question is what are we doing with what we have currently? At least with this subject, NOW is an indicator of LATER. I recently read this statistic and cringed "The average American Christian releases less than 1% of their funds for the cause of Christ." If Jesus words are true, "Where your treasure is, there your heart will be also..." then the above quote/statistic may fall short of telling us where the hearts of people are, but it is abundantly clear where their hearts are not--the cause of Christ! Make no mistake, giving is a very spiritual issue. Truthfully, it's more about us than it is the recipient. AND, I hope the voices inside my head become a singular echoing voice inside yours! Picture is blurry but you get the idea. And yes, that is a white house replica on our stage! It was a great kick off to our new series: "Letters to the Next President." I'm surrounded by some very creative and very hard working people that continue to pull off some stuff that is pretty amazing. It was a longer day than usual at Ridge Church. We followed up the first part of our new series with a "Group Link" to form new small groups. What a great day. 2 Timothy 6:17 "Command those who are rich [yes even the least wealthy among us are rich according to the worlds standards--Sorry, this word is not an out for you!] in this present world not to be arrogant or to put their hope in wealth, which is so uncertain, but to put their hope in God, who richly provides us with everything for our enjoyment." Okay, I have a prediction to make. I predict that there will be many conversations on Monday morning that start something like this "You won't believe what my church did yesterday..." OR Look at what the greeter at my church handed me at the door on the way into church" OR You won't believe what was in the parking lot or in the foyer or on the stage at my church yesterday! How funny is that? Future Ridge host team volunteers in the making! See you all Sunday. This was one of my illustrations Sunday at Ridge Church. To listen to the message that goes along with it GO HERE. We are having a great time at Ridge Church right now. These are exciting days. Don't miss the first installment this Sunday of our brand new series: Letters to the Next President. This is definitely a hot topic right now! I was in high school when for the first time I began to understand that Christianity was about a relationship with Jesus and not just rituals and lists of spiritual "to-do's". My life was shaped in so many ways during those days. I didn't even recognize how much spiritual formation was happening in me. Hind sight is 20/20. Now I can see that in a very organic way, almost unintentionally, I landed in a very safe and honestly a very biblical community of people. Our relationships were very real and it became the seed bed for crazy spiritual growth and maturing for me. In that un-official community of Jesus' followers, we challenged each other to make good decisions. We prayed together. I started learning about worship during those days and have never stopped learning or worshipping. 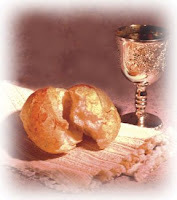 We studied God's Word and tried to figure it ou t. We laughed a lot, and disagreed a lot. We talked through life's issues together...and again, we grew a lot. Fast-forward...well....a very long time we'll say (that's my story and I'm sticking to it). Now I've been a follower of Jesus for awhile and now I am leading this church start up called Ridge Church. My team and I, now have the opportunity to intentionally re-create for people in Charlotte, what I experienced unintentionally at the start of my spiritual journey. It's incredibly exciting. In short, our best attempt to re-create that experience of biblical community for as many people as possible is called a community group. In fact you can get in a group at our upcoming group link if you are interested. And even if I don't know you personally, I still know that you need what these groups have to offer. Those groups need you too! If it sounds interesting, come hear more about it this week in part 4 of "Everybody." See you there. I read John 5:16 recently and ever since then it's been spinning around in my head, relentlessly reminding me of something that I NEED to remember. It's a simple truth but would [and will] alter everything if we can embrace it. 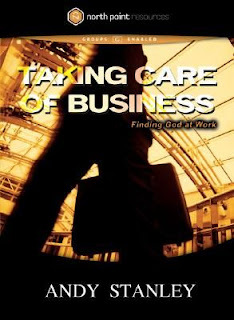 Jesus said, "My Father is always a t his work...". THAT'S it---that is the phrase that sent me spinning. At first glance this isn't very profound is it? But think about it--It is because of the fact that OUR Heavenly Father is ALWAYS at work, that we can rest, that we can be at peace, that we can be confident, that we don't have to worry, that we can exhale when life gets crazy. Today, in this very moment, my and your heavenly Father is at his work. Combine that with the fact that He cared about us enough to send his Son to die for us and it becomes deeply personal and comforting. Today, rest, because your Heavenly Father is at work behind the scenes. You can rest because he doesn't! **I will be wrapping up our "Everybody" series at Ridge Church this weekend as we talk about how in the church "Everyone is 'identified'." See you there at 11am. It's now official that Larry Munson has retired. The Georgia Football announcer legend of 43 seasons is calling it quits at the young age of 85 and it simply won't be the same without him. In honor of him, I stood on the sidelines of our neighborhood basketball court tonight "calling the play by play" as Josie and Maddie (my 7 year old twins) fought it out in a game of "Yea." Apparently "Yea" is the shorter version of the basketball game horse? Their idea...I just went along with it. They couldn't understand what I was doing but they laughed a lot at my play by play commentary. I literally grew up listening to this guy. 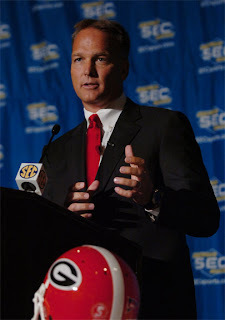 Pretty sad day for Georgia fans. My tribute to the "Voice of the Dawgs." The really awesome thing about this video is that fact that it represents chapter one--maybe even page one in chapter one, of the story of what God is doing and will do through this great community called Ridge Church. Don't forget to scroll down and post your stories, and thoughts on my previous post. 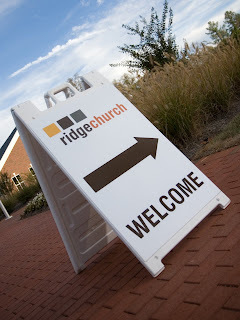 If you enjoy the video, you need to come experience Ridge Church in person. See you soon. My office assistant was telling me about one of her class mates that piped up when she mentioned the name of our church and said hey I have friends who go there and love it. I walked into the bank today and the teller (that I recognize but don't know) said, "Hey I'm coming to your church this Sunday". I looked around to make sure she was talking to me before I embarrassed myself with a response. I didn't even know that she knew I was a pastor. That comment was followed by one of the other ladies saying yeah, I saw the big flags for your church flying on Sunday morning. How have your invites gone? What is your story? Have you heard or created the buzz about Ridge? If so How? Who's coming that you are excited about? Who are you hoping to see there this week? What is your favorite recent story from Ridge Church or your favorite invest and invite story? What was your personal experience at Ridge like? Give me some feed back. Ready, set, GO!